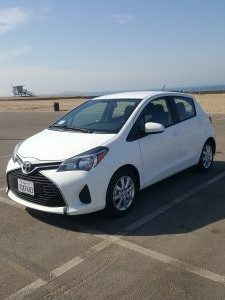 Lost Campers is proud to announce our new cheap car rentals from our Los Angeles Depot, just 10 minutes from LAX airport. We feature the subcompact, super economical and sporty top-rated, 4-door Toyota Yaris. If you want a great deal on cheap car rentals, no hidden fees, super close to the airport and don’t like the big rental companies, you will love Lost Campers. *Please note that we are accepting booking requests on this vehicle for bookings more than 30 days out, please contact the LC Reservations Team for more information. 2016 Toyota Yaris – this car rocks! 100 free miles per day included in the daily rate, excess mileage is only 25 cents per mile, or select a money saving mileage package ahead of time! 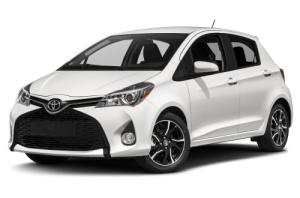 The 2016 Toyota Yaris is super well-built and economical. 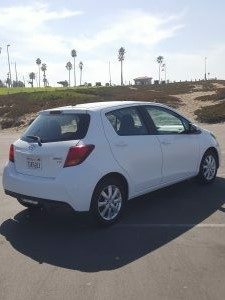 The Toyota Yaris is a Japanese subcompact hatchback with European roots designed to excel on the tight streets and cities around Los Angeles and California. It prioritizes maneuverability and efficiency above all else. That doesn’t mean it’s a no-frills car, however, as it comes with plenty of modern features that make it a solid competitor in the entry-level class. The Yaris is just a fun cool car you will love! Standard safety features include anti-lock four-wheel disc brakes, traction and stability control, active front head restraints, front-seat side airbags, front and rear side curtain airbags, front-seat cushion airbags and a driver knee airbag. In government crash tests performed by the National Highway Traffic Safety Administration, the four-door hatchback Yaris received four out of five stars for overall crash protection, with four stars for frontal-impact protection and five stars for side-impact protection. 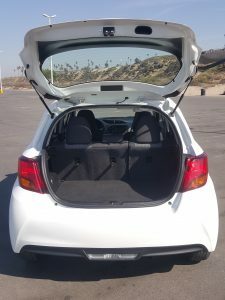 The Insurance Institute for Highway Safety gave the four-door Yaris hatchback its top rating of “Good” in its moderate-overlap frontal-offset, side-impact, roof strength and head restraint (whiplash protection) tests.